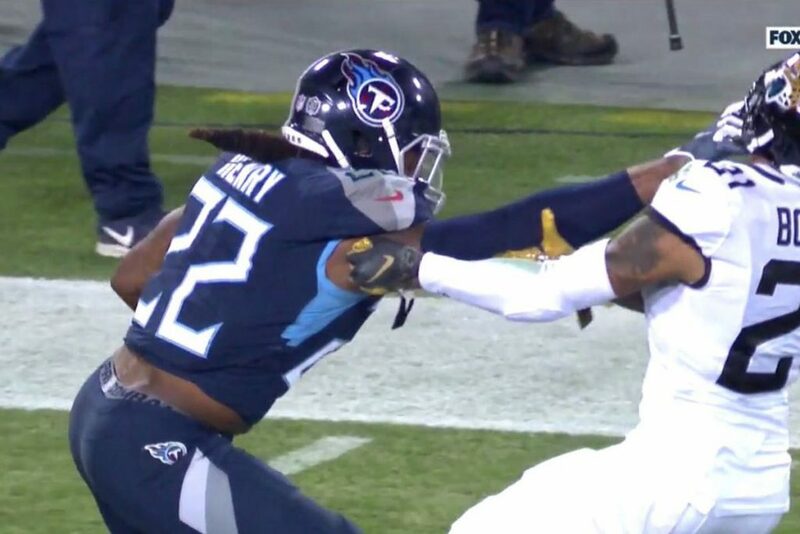 Derrick Henry had the night of his career on Thursday night to aid his Tennessee Titans’ fledgling playoff hopes and give them a dominant 30-9 win over the besieged Jacksonville Jaguars in Nashville. Henry finished the night with an incredible 238 yards on the ground and four touchdowns, showing off a world-class stiff arm that would make plenty of bodybuilders jealous of the power of his triceps muscle. On one of the runs, Henry tied the record for the longest rushing touchdown in NFL history by toting the ball 99 yards, pushing off defender after defender as he cruised to the end zone. It was his second touchdown of the night, but he wasn’t done yet. In the third quarter, he would have two TD’s in the blink of an eye seemingly as he ran the second of those in from 54 yards, blazing by everyone and hardly being touched. It was a show of force by Henry, and a heavily-criticized offensive line, that will breed confidence in the team going forward. At 7-6, they can still make the playoffs. The question is whether they are consistent enough to do so and if they are good enough to challenge once they get there.